Our group lesson is for a minimum of 2 people. So if you have friends or family members that you want to learn to kite with, this could be a great option for you! This is a more affordable option for some people. 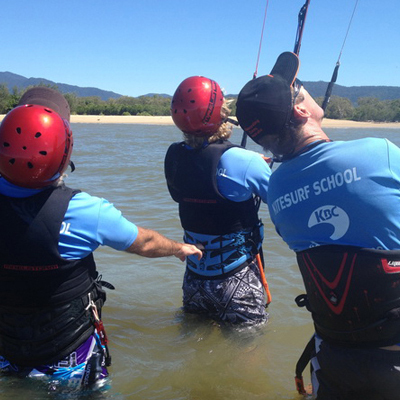 Our group lessons are located in the flat waters of Double Island reef off Palm Cove. This is ultra flat water and perfect learning conditions for groups. 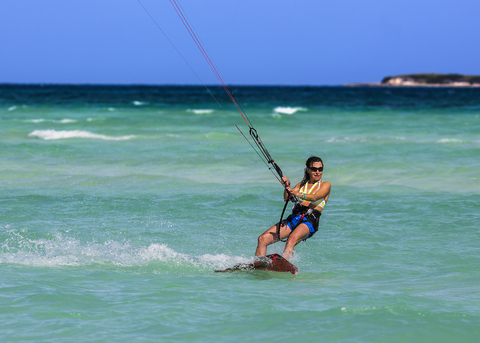 This lesson gives you a great introduction to kitesurfing and will take you through half of the course. Once you have done the first 4 hour lesson, you will be hooked and ready for the second lesson. This lesson can also be purchased for the second day, when you are ready to get on the board. With our qualified instructors you will still learn the skills you need to know in the group setting. 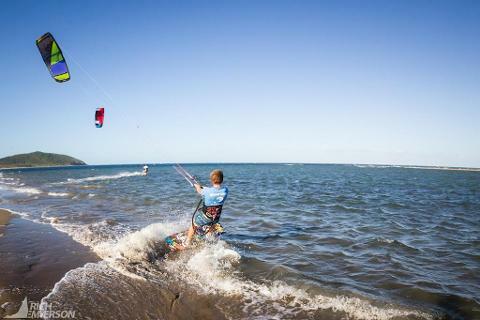 So come and give it a go with us at kiteboarding Cairns.